Your referrals are valued by Balsley Printing and we would like to show you our appreciation. Simply send us the name and contact information of someone you know who could benefit from our printing and mailing services; and we will send you a link and code to get yourself some really nice personalized notepads. 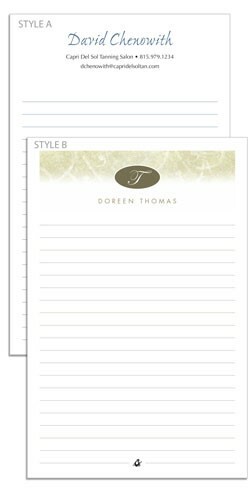 We print these notepads just for you with your information. They are also nice enough to give as a gift and make a great impression on a friend.